The world of sports is replete with examples of good and bad sportsmanship. But what exactly is sportsmanship, and why does it matter? Definitions often involve fair play, respect for all parties involved and graciousness in winning and losing. Sports are supposed to build confidence and instill important values, but they can do the opposite if sportsmanship falls by the wayside. And if bad sportsmanship sours the experience, participants can miss the benefits of sports. 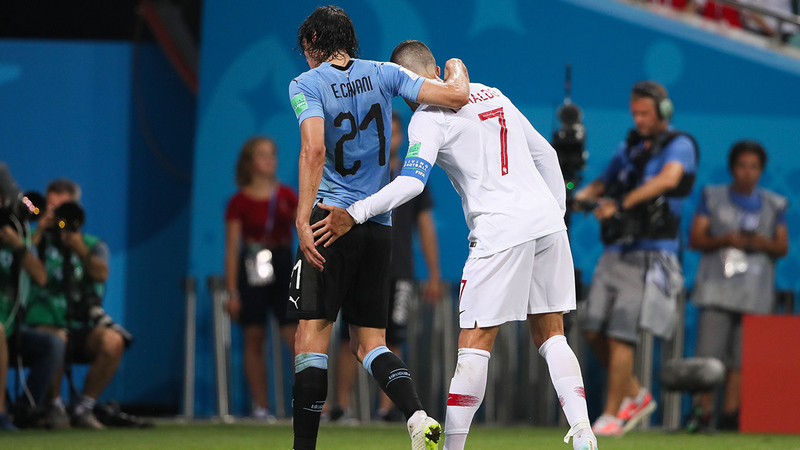 Also during the World Cup, when Uruguay’s Edinson Cavani started limping off the field, Portugal’s Cristiano Ronaldo helped him walk. Belgium’s Romelu Lukaku signaled to the referee not to penalize Tunisia after a player made contact with him. 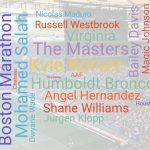 In other sports, Desiree Linden won the 2018 Boston Marathon even after slowing to help Shalane Flanagan catch up to the pack after she was forced to stop for a bathroom break. Even high school students have made headlines recently for good sportsmanship: A high school golfer reported an error she had made on her scorecard, causing her and her team to lose state titles. A high school pitcher who had just won a baseball tournament game by striking out his childhood friend stopped to hug and console him before celebrating, and a video of it went viral. Sportsmanship includes fair play and kindness, as well as “understanding that it’s not all about winning and losing,” said Mallory Holtman-Fletcher, who gained fame for carrying an injured opponent around the bases during a 2008 Central Washington University softball game. The player tore her ACL after hitting a three-run home run, and the rules prevented her own teammates from helping her. So Holtman-Fletcher and a teammate carried the injured player around so that she could touch each base. “She earned it,” Holtman-Fletcher said afterward. Holtman-Fletcher went on to coach at CWU and then speak about sportsmanship as part of the Positive Coaching Alliance, which aims to develop “better athletes, better people” by providing resources to athletes, coaches, parents and administrators. Part of the problem is coaches lack resources for guidance — especially if they are volunteer coaches just stepping into the role, she said. O’Sullivan promotes a player-centric approach that asks: “Does this decision serve the needs of the participants or my ego as a coach or as a parent?” The overzealous parents and coaches are in the minority, but the silent majority needs to start speaking up, he said. “One of the biggest problems in youth sport is that we use professional sport as our model. Professional sport is sport for entertainment purposes. Youth sport is sport for development, both athletic and human development,” O’Sullivan said. 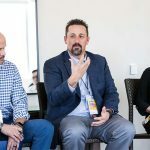 The adult value of being willing to do anything to win trickles down to youth sport, which is supposed to be about teaching kids how to play properly and teaching them “respect and integrity through sport,” he said. At a recent soccer tournament, O’Sullivan watched a 9-year-old boys’ game that a 15-year-old was refereeing. “Parents on both sides are screaming at this kid. There’s a foul and the coach charges off the field and is screaming at this 15-year-old referee — who’s all by himself, there’s no adult watching the game — he slams his hat down and is getting in this kid’s face,” he recalled. Well-meaning parents, coaches and administrators can cause problems, Alexander said. 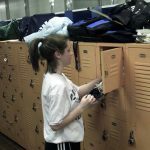 “For example, you have parents who think the only way to get their kid to college is through sports, and so they put enormous pressure on the kid to excel in a sport, starting from very young age,” pushing him or her to get a scholarship. So what’s at stake if good sportsmanship isn’t upheld? “We’re losing a whole section of children from sports because they’re having bad experiences,” Holtman-Fletcher said, noting that kids are demeaning other kids and those who are not athletically gifted start to feel bad. Holtman-Fletcher says she doesn’t think all kids need to have equal playing time, but a less gifted player needs to be reminded it’s OK if she’s not as good as the best player — and that the game is fun. “Kids quit sports when adults make it no fun,” Alexander said. “And lack of respect, integrity, civility and fair play makes sports less fun for kids.” He added that “when kids are having trouble with their baseball coach, they don’t just quit that baseball team.” They often move away from sports entirely. As kids become adults, sportsmanship-related issues can intensify. “By the time athletes get to high school and college, sportsmanship is given lip service, but something else becomes far more important: winning,” Delaney said. College students on scholarship may get pressured to play as hard as possible, and “sometimes that can take precedence over playing fairly,” he said. The adult realm also includes coaches teaching their athletes how to get away with things, such as when to push someone, Delaney said. He published “Sportsmanship: Multidisciplinary Perspectives,” a book of essays geared toward adults, after finding that other sportsmanship books focus on kids. He also hosts a Sportsmanship Day Symposium every year. The lack of sportsmanship is not unique to the U.S., Alexander said. In the U.S., “our issues are centered on the fact that we hold sports in such high esteem. We hold professional athletes in higher regard than we do doctors, and that’s an issue,” he said. But badly behaved parents and coaches can be found everywhere. Delaney agreed these problems are universal, although they may take different shapes in different areas of the world. For example, some countries are known for so-called hooliganism — fans picking fights with other fans and acting out violently or destructively — he said, and parents and fans harassing referees are more common in some places more than others. Being kind and being competitive are not incompatible, Holtman-Fletcher said. “I’m competitively compassionate — you can’t lose all your morals just to be competitive.” If you lose, it’s not the end of the world, and “failure is a good way to succeed,” she said. People have strong opinions on whether participation trophies are helpful or harmful. Alexander supports giving them to youth. “There is no harm in giving everybody a trophy when they’re 8 years old, because what you want to do is spend as much time as you can filling up your kid’s cup,” he explained. “Because the rest of the world for the rest of their lives will try to tear them down. If a cheap trophy makes them feel good that day” and makes them want to come back the next day, it’s worth giving. The National Sportsmanship Foundation recognizes extraordinary sportsmanship through its annual Musial Awards. Alexander cited the example of one winner, Josh Zuchowski. When he was 10, his main swimming rival was Reese Branzell — the two would often trade first and second place. When Reese was hospitalized and couldn’t compete at a meet, Josh dedicated his race to Reese and won. Then he gave Reese his trophy, along with a note that said: “I would rather get second with you at the meet than win with you absent. I won this trophy for you today. I hope to see you back in the pool.” It shows that even a 10-year-old “can make difference in somebody’s life,” Alexander said.